After a bit of a slow morning, we thought we'd check out the Marche d'Aligre, a market with interesting food stalls and apparently many North African goods. Unfortunately, it is closed Mondays - a fact that slipped the minds of the writers of our guide books. After this unsuccessful start, we tried for the Marais, where my friends wanted to do some shopping. I tried instead for the National Archives or the Musee Cocques-Jay, both of which were also closed for the holiday. 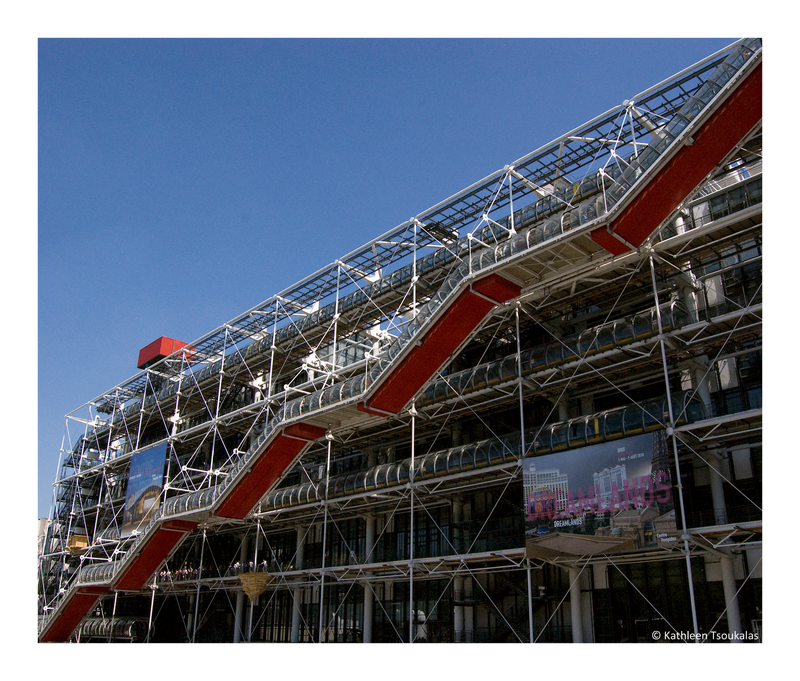 I ended up in a park for a short respite from walking, then headed over to the Centre Georges Pompidou, where I would be meeting my friends. Being 20 minutes early I walked around the Centre and took some pictures, and ended up watching the third act of a small production of Hamlet, in French, with only three actors rotating roles and using puppets to fill in the missing characters. 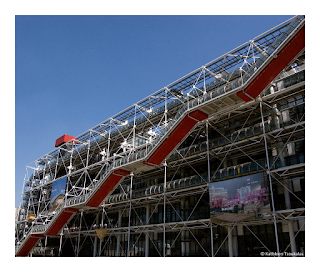 The Centre itself was quite interesting; we had free admission to the 4th and 5th floors using our Paris Museum Pass. These floors contain the main exhibits. On the 4th floor there was an exhibit on female artists, of which few gain national and international recognition. Unfortunately, although there were a few gems here, we were largely disappointed with the show. On to the 5th floor then, which contained a large collection of Picassos along with a few Dalis. One of the highlights of this section was Reinhardt's "The Ultimate Painting", which we tried long and hard to figure out! For dinner we headed back to the Marais to try the "#1" falafel shop, L'as du Falafel, according to our guide book and others. We ate it in a park which closed at 8pm, so we were kicked out. Everything closes so early here! It's a bit frustrating. At any rate, the falafel itself was good, but we were disappointed by the lack of spicy sauce and pickles. We also felt very sorry for the falafel shop across the street, which had 4-5 men trying to lure customers into their shop without success. We decided to try them out on a following visit.